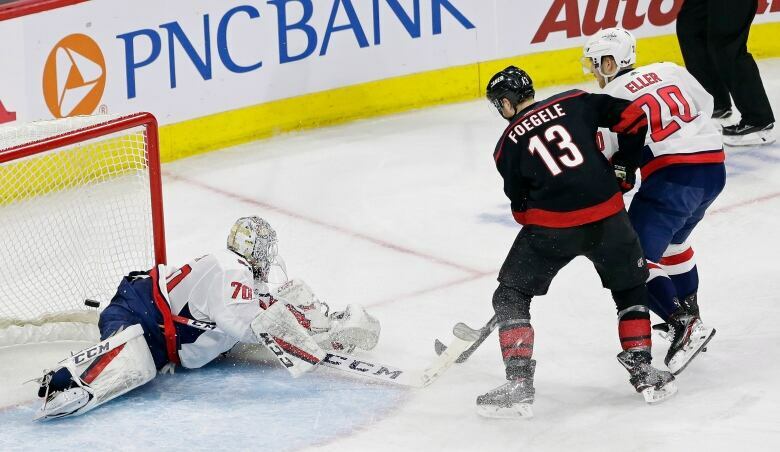 Rookie forward Warren Foegele had two goals and an assist, Petr Mrazek earned his fourth career post-season shutout and the Carolina Hurricanes won their first home playoff game in a decade, routing the Washington Capitals 5-0 on Monday night. 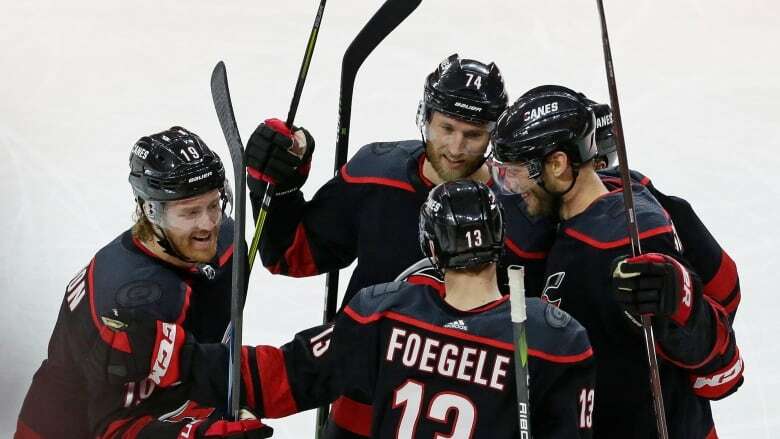 "I thought we were engaged from the start, and we were physical," Foegele said. "We all battled together. All 20 guys battled hard. ... [Svechnikov is] our brother, and we stand up for each other. We knew we needed to get this win, not just for us, but for him."